Nearly 15 years since World of Warcraft was released, it’s easy to think you’ve seen and played all there is to it. That’s probably because you’ve found yourself in a bit of a rut – it’s easy to fall into the same, comfortable routines and not venture into new territory. 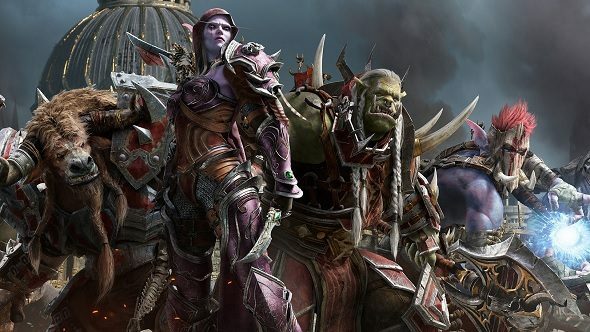 The release of the next expansion pack, Battle for Azeroth, in August will certainly help you with fresh content, but what about in the meantime? With that in mind, we’ve come up with some fun ways to breathe new life into the game while you wait. Who will win the Horde vs. Alliance clash in Battle for Azeroth? While incredibly relaxing, fishing happens to be satisfying and mildly profitable, too. It’s an activity that can be completed in any zone with a water source. Buy a fishing rod and a few lures to ease your way into it, and you’re set up. There’s a ton of fishing related activities to do. Not only are many quests connected to the craft there are plenty of achievements to go after, too. 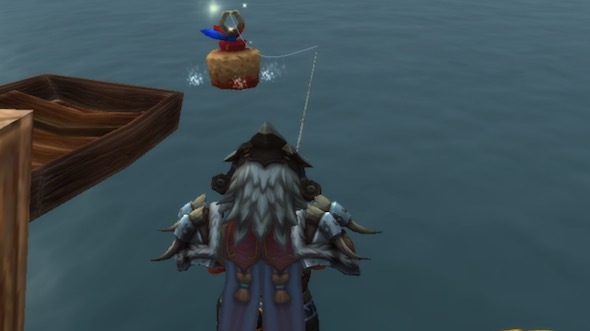 On a Sunday, you can participate in the Stranglethorn Fishing Extravaganza in Booty Bay, while there’s the Kalu’ak Fishing Derby in Dalaran on a Saturday. It’s practically an entire game all of its own, away from the hustle and bustle of the experience grind and the constant flurry of raids and instances. Binge watch your favourite Netflix show while you do it for more fun. Fishing is a wonderful way to pass the time in Far Cry 5, too. 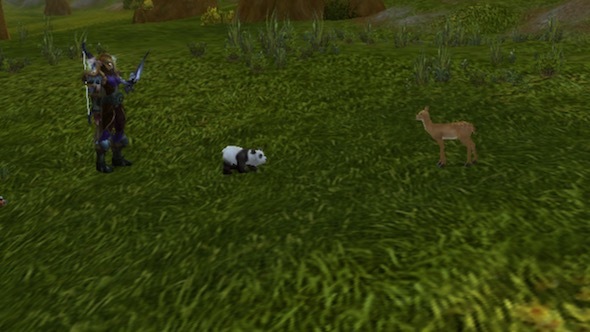 Added with the Mists of Pandaria expansion pack, pet battles were easy to overlook when you were busy trying out being a Pandaren Monk. A game within the game, turn-based combat is the order of the day here as you assemble a team of ragtag pets to fight other players’ pets, and defeat Azeroth’s pet trainers. Yes, that’s all very Pokemon, and suitably compulsive to boot. The Pet Battle chain quest will keep you busy for a long time to come, as well as simply collecting up new creatures along the way. As in life, it’s easy to get so wrapped up in yourself that you ignore the world around you. 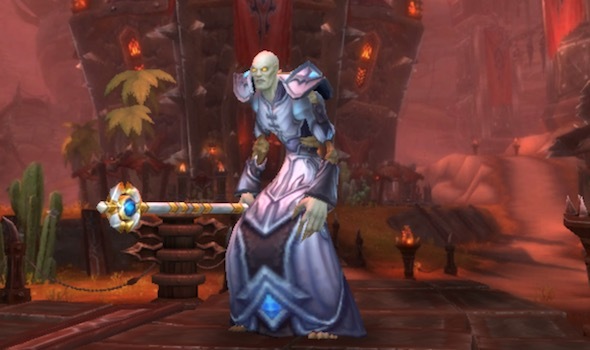 World of Warcraft is full of other players that you could interact with. How about you give it another shot? Be nice. 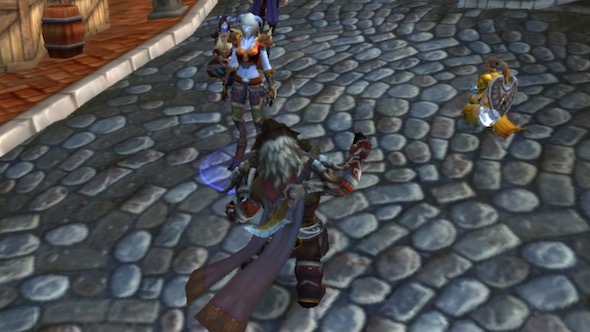 Head to Ironforge or Orgrimmar and hand out free goodies to newbies. Make someone’s day. If you’re poor, simply entertain them. Throw the odd dance emote out there or let off some fireworks to keep people amused. Been fishing? Hand out fish while randomly declaring yourself to be the ‘Fish King/Queen’. Absurd, yes. Fun? Of course! Most players stick to either Alliance or Horde. It’s natural to take sides. This is your chance to deviate from the norm. You’ve got plenty of time to truly throw yourself into something that’s outside your comfort zone. Roll that Undead Priest you’ve never tried because you’ve always been happy as a Human Paladin. Go for something completely against how you normally play. Usually a tank? Try a Priest for a change and see how different the pace is. It’s too easy to stick with what you know. Take a risk. 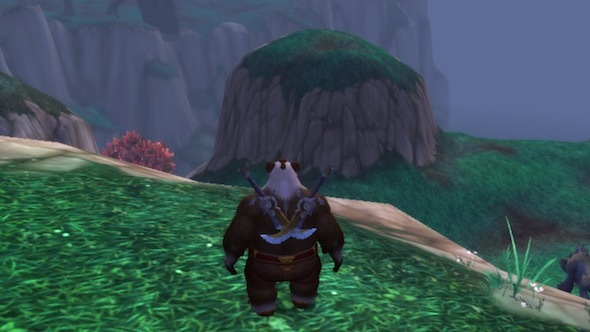 Did you go seeking out hidden treasures when Mists of Pandaria came out? No, of course you didn’t. You were too busy levelling up and living out your Kung Fu Panda fantasies. We understand. 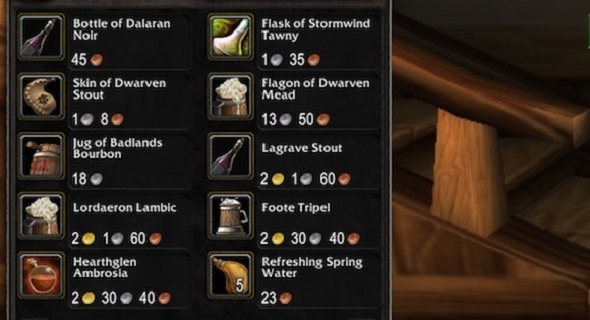 Hidden treasures are scattered around Pandaria and include a mixture of rare equipment and recipes. Finding them can be as easy as consulting a map, but it’s the perfect excuse to go for a wander. Doubling as good life advice, why not track down different food in a part of Azeroth you’ve never been to? Sure, food doesn’t offer substantial benefits in a lot of cases, but there is an achievement in it for you – namely, Tastes Like Chicken. Odds are you haven’t actually been everywhere so this is the perfect time to explore new places. It’s kind of like when you think you know your hometown but, really, you just know the areas you always go to. Live a little. See what’s out there. Do some scouting with your maxed out character then return with a lower level alt to check out the quests. As you progress, you unlock some achievements too, which is always a bonus. A completely pointless but strangely fun thing to do – fall from the sky with style. 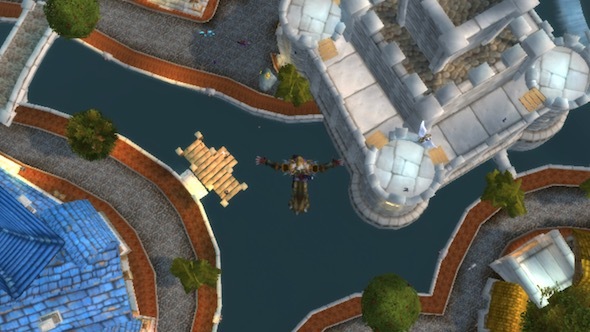 Use your flying mount to fly up high near a water source, then dismiss your mount and aim to land in the water safely. Extra points for landing in a puddle rather than an ocean or lake. It’s silly but enjoyable. Get some friends involved and make a competition out of it. Let loose for a while and step away from the grind. There’s /so/ much more to Azeroth than the grind.